By The Shore Stamping with Jen Pitta: Jimmies or Sprinkles? Well apparently all I needed to order from the new Stampin' Up catalog was the Sprinkles of Life stamp set -- because yes, I am back again with another sample using that set (I told you it was versatile!). In all honesty, I'm a little crazed trying to get ready for my Sale-A-Bration Celebration on Friday night and my new catalog launch party on Saturday! Just went through three boxes of retired goodies for pricing.... fun, fun, fun (not really, but the actual events will be fun!). 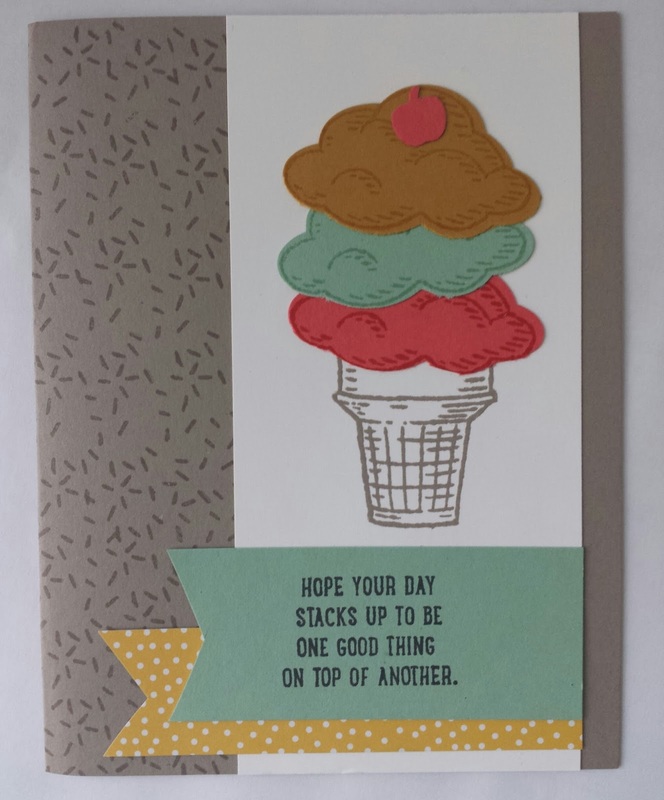 Today's card features another fun summer event -- ice cream outings! Living on the Cape, I have a plethora of options when it comes to ice cream -- and I am a big fan of "jimmies." It's so funny how you can always tell where someone is from by whether they ask for sprinkles or jimmies on their ice cream. Honestly, I grew up with "jimmies" but most of the time now I usually say sprinkles. Must be from all the weird looks I got during my out of state adventures. People really do look at you like your crazy! Anyway, on to today's card. I used the cloud image from the Sprinkles of Life stamp set as ice cream scoops instead (not something I invented, but borrowed from hundreds of other crafters who had the idea first!). Want to know the sad thing about this card? Immediately after making it I lost my "jimmies"! The stamp is gone. I used it on one card and then it got lost or stuck to something and I haven't seen it since. That's the downfall of the new photopolymer stamp sets I guess -- they're just too sticky for their own good! I even went trash picking with no luck. Dang. So regardless of what you call them... all my future cards will be sprinkle-less. How sad. No need to be sad for long, though, go get yourself your own set of sprinkles here... then show me what you make with them! 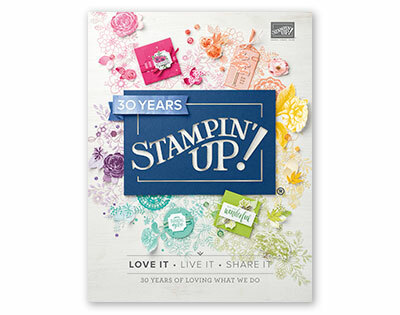 Well, I'm off to go get some more work done... or maybe go to bed (wink, wink)... until next time... happy stampin'!